From Sydney suburbia to the grey clouds of London, Jenevieve Chang has been running away for as long as she can remember. Now – along with other Westerners trying to escape the 2008 GFC – she has arrived in Shanghai, a city from her family’s past. But this glittering metropolis once known as the ‘Whore of the Orient’ throws up more hurdles than she bargains for. As her marriage collapses and she struggles to fit in with this over-the-top new world, Jenevieve searches for a place to call home. And then she finds it – Chinatown, Shanghai’s first Vaudeville, Variety and Burlesque Club. But soon, Jenevieve finds herself more lost than ever as she realises that she must choose between the pleasure of propping up illusions, or the redemption of facing up to her past. 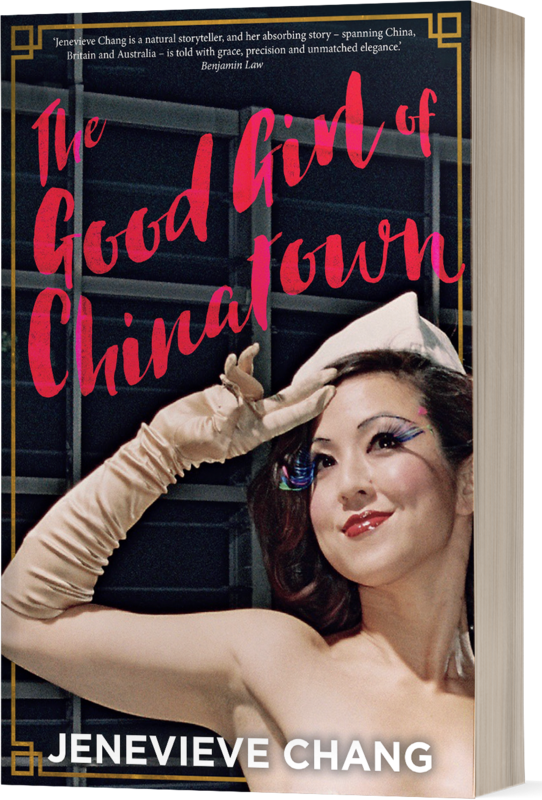 Vibrant, bold and raw, The Good Girl of Chinatown is a memoir weaving multiple narratives across three generations and continents. It is a story about the boundaries we choose to cross and the roles we choose to play. And it is a story about family and the ways we try –but sometimes fail – to be good for them.